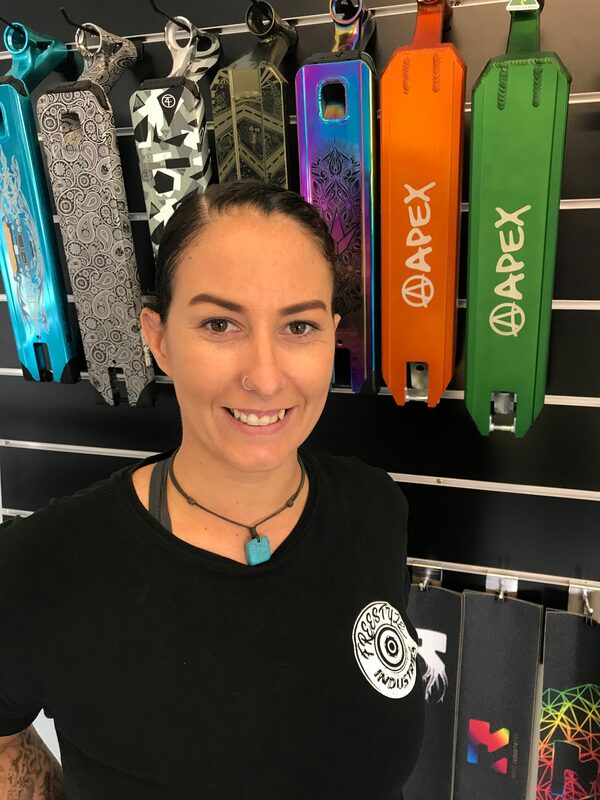 Freestyle Industries is your #1 Pro Scooter & Pro Skate shop in the Gladstone Region. They have the biggest and best brands with outstanding service. Krystal explained that Freestyle Industries are dedicated to supporting the youth community by hosting youth events. This Saturday 17th of November, Freestyle Industries will host the 2018 Freestyle Mega Jam. “We are teaming up with Gladstone PCYC again this year to bring the 2nd Freestyle Mega Jam to Gladstone. This year the event is proudly brought to you by our major sponsors QAL & Rio Tinto. We are using the event to bring awareness too and the prevention of Youth Suicide,” Krystal said. “There will be a live DJ pumping tunes on the decks, FREE jumping castle, food and drinks stalls, raffles, lots of activities, market stalls, PRO-Rider meet and greets and demos. All early registrations before the day will receive a FREE Merch pack,” she added. Shop to Win at Freestyle Industries during the Shop to Win campaign and you could win $10,000! From beginners to professionals they can help you scoot or skate your way to win!